Ford today announced it has hired Musa Tariq as a Vice President and its Chief Brand Officer starting January 30. 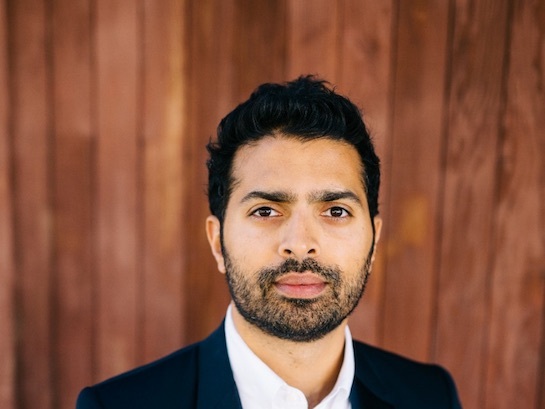 Tariq will work with Ford's marketing and communication departments to "define, build, and communicate" the carmaker's brand across the world as it further pushes into connected technologies. Tariq has served as Global Marketing and Communication Director of Apple Retail since August 2014, working on Apple Store initiatives. Prior to Apple, he was a social media director at Nike. He held the same position at Burberry, where he worked for Angela Ahrendts, who is now Apple's retail chief. Tariq started his career in marketing and advertising, serving in leadership roles at ad agencies JWT and Saatchi & Saatchi. Yet another sign that Cook can't get employees to buy in on his vision and they leave the first chance they get. Fast forward 2 years and the guy works somewhere else. I have little respect for guys who change positions so often. Either they are magicians and can have huge impacts in 18 months and then get bored or by the time they start settling in and doing something, it's time to move on. This is common in startups but a different reason but in the corporate world, a stint under 5 years seems like a waste of time. Effectiveness aside. Going to a different company is the fastest (and most effortless) way to get a pay raise. Most upper management are so screwed up that they refuse to give the proper pay raise unless they really have to. By the time the talent is ready to leave then they wake up and try to match the offer. By then it's most of an insult and people will leave anyways. Another one, huh? Something is wrong with Apple. For every person who thinks they might want to work at Apple, there's someone already working there who definitely doesn't. These MR reports remind us of that all the time. 1 - Never stay less than 2 years, no matter how much you hate the job. You'll look like some sort of flake - no one will want to hire you if your resume has you as having worked for fewer than 2 years at most places. 2 - Never stay more than 7 years, no matter how much you like the job. Management is going to take advantage of you and deny you pay raises/promotions that you deserve. Obviously there are exceptions to both, but most people won't have enough jobs that they'll land one that's so bad that they should really leave sooner than 2 years, and most people won't have enough jobs that they'll land one that's so great that they should stay longer than 7 years. What, really? You have no idea why people leave. Just as people lie and embellish on their CVs, so do companies. What’s to say he’s not doing as they promised him he would be after repeated requests fell on deaf ears at upper management? Yep something doesn't feel right.